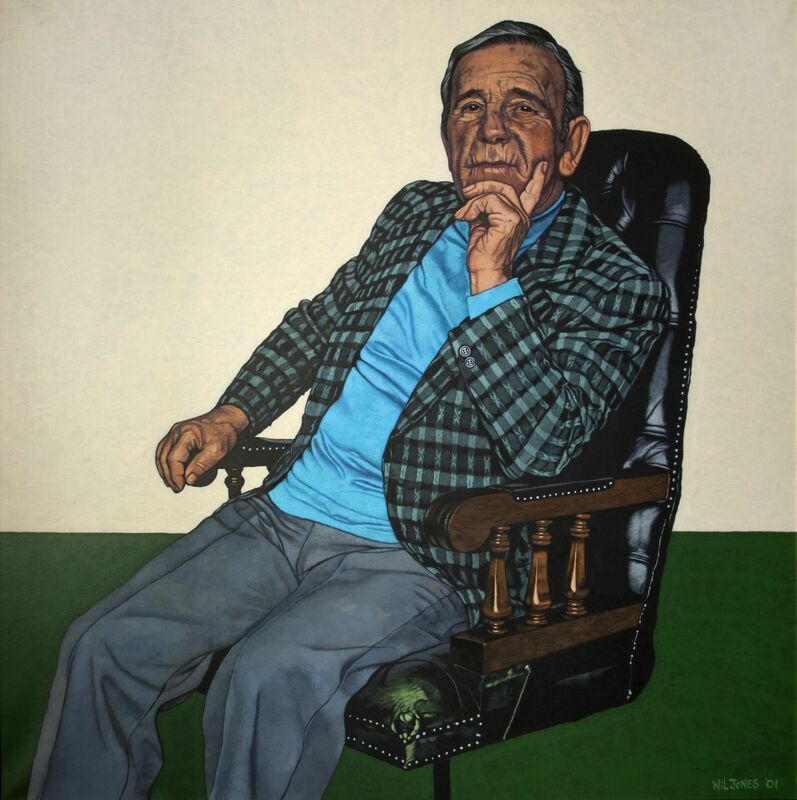 We’re celebrating the comedy career of the late, great Sir Norman Wisdom with our latest exhibition, Follow A Star – Sir Norman Wisdom. The exhibition has been created by Sir Norman’s son, Nick Wisdom, and this is the first time it has been shown on the island. Norman’s 1977 summer season at the Gaiety Theatre was the catalyst for a 30 year love affair with the Isle of Man. The tranquility and sweeping countryside convinced him that he wanted to spend the rest of his life on this picturesque island. 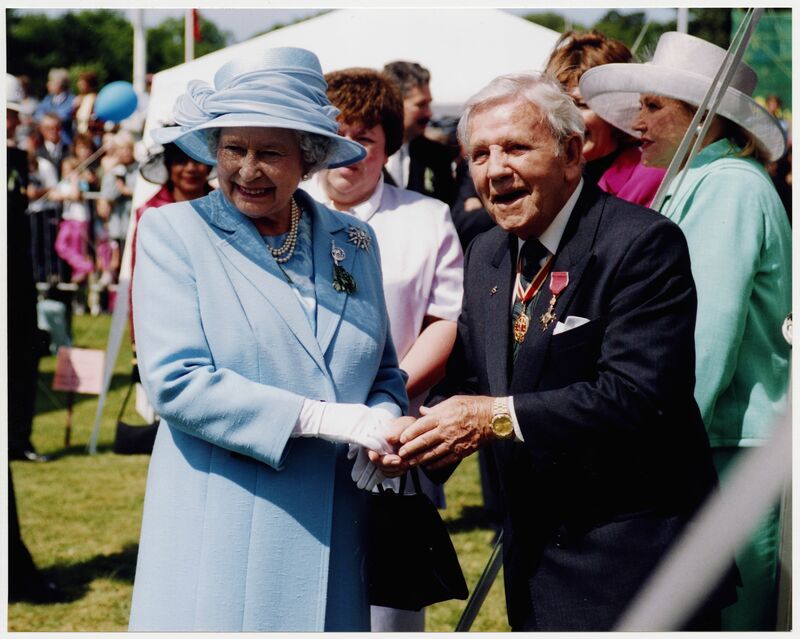 Norman was a great ambassador for the island and was a constant attraction at opening events whether in Douglas town centre or at a school sports day. His legacy lives on at Sir Norman’s Bar on Douglas sea front. Outside the bar, there is a bronze statue of Sir Norman where fans pose for a customary photograph and remember ’the island’s most famous resident’. Norman’s childhood years were tough. He spent time in a children’s home aged 9 when his parents split up. Despite this shaky start he developed an inner strength to succeed at all costs. During the Second World War Norman was admitted to the Royal Corps of Signals. Posted to Cheltenham, he joined the regimental band. His knockabout humour caught the eye of the Entertainments Officer. Norman was drafted into the concert party, where he became known as Dizzy Wizzy. He was out front, doing his mime, tap dancing and falls to receptive audiences. He spent all his spare time writing his own script and practicing his act. 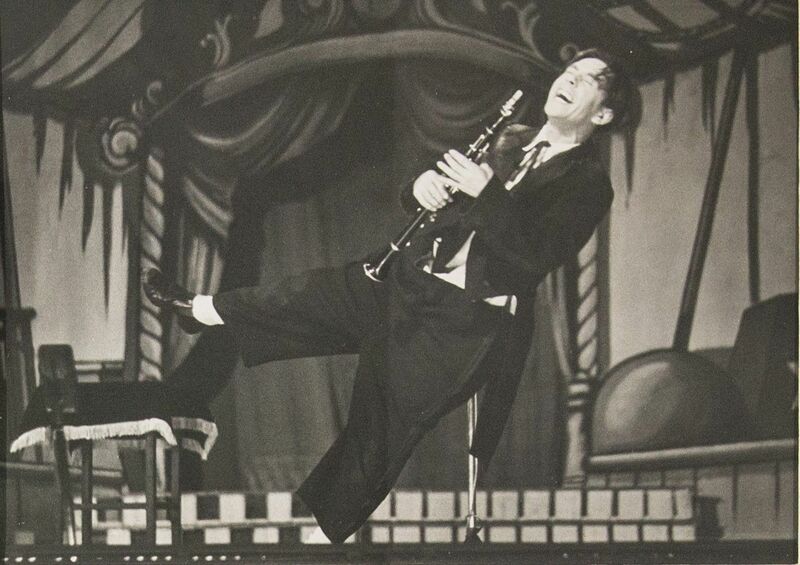 Early stage performance from the late 1940s with Norman Wisdom in his misfit suit. When the war finished, Norman was 30 and desperate to get into show business. His pursuit of theatre manager Lew Lake was a model of perseverance. After a constant barrage, Lew Lake cracked: “Alright” he said, “if I let you go on first house on Monday and you’re no good, will you promise to go away and leave me alone?” Norman lasted the week and Lew Lake gave him £5. 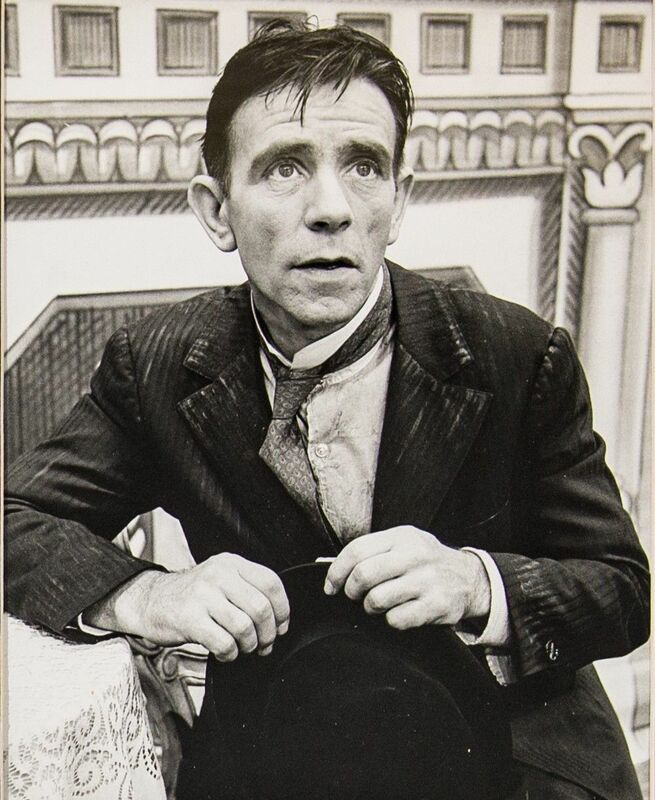 Norman Wisdom appearing in the musical ‘Walking Happy’ on Broadway, New York, 1966. “Isn’t it a trifle small sir?” enquired the owner. 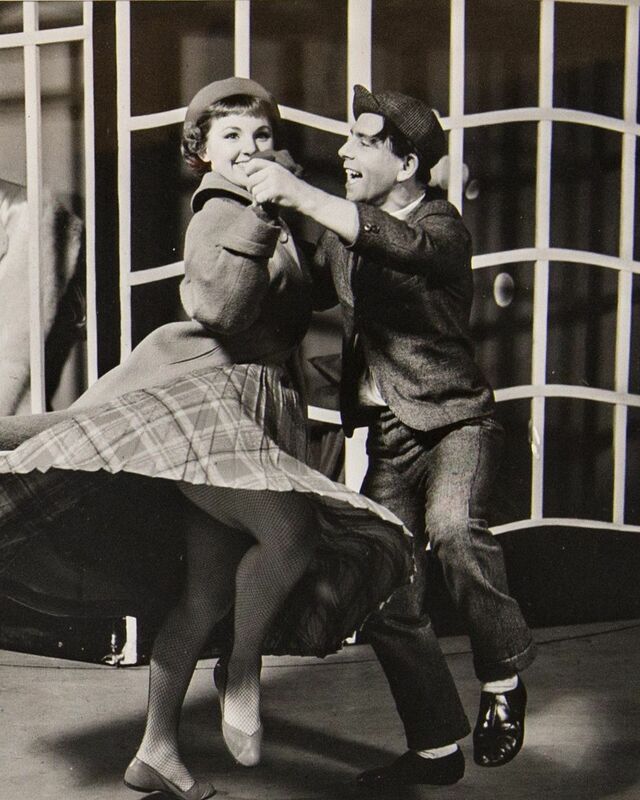 Paris to Piccadilly opened on 12th April 1952 and was Norman Wisdom’s first West End solo star billing. Laurel and Hardy were on tour in London and stopped off at the Prince of Wales Theatre to see the show. Norman was informed that the famous duo were in the audience – during the interval he went searching for them, resulting in a photo shoot. 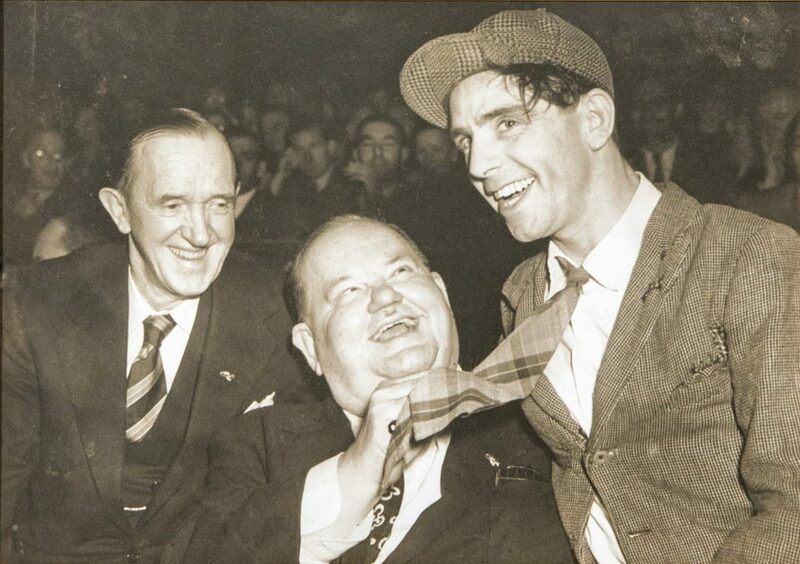 Laurel & Hardy watching and meeting Norman Wisdom in ‘Paris to Piccadilly’ at the Prince of Wales theatre, 1952. Norman wore his famous Gump Suit for the first five of his films (1953 – 1957), beginning with Trouble in Store (1953). This film earned him a BAFTA Award for Most Promising Newcomer to Film in 1954. It was for this film Norman wrote and sang his trademark song ‘Don’t Laugh at Me’. The song stayed in the charts for 15 weeks and peaked at No. 2. The record breaking London shows plus his films for the Rank Organization in the 1950s and 60s were part of the ‘Golden Years’. Norman Wisdom & Nancy Crompton in a dancing routine called ‘Romance in Town’ in The Palladium Show, 1954. Sir Norman’s screen persona is of the ‘clown’ but in the oil painting above Wil Jones has captured an impression of the private man behind the public image. In later life, Norman settled on the Isle of Man, saying: “I suspect I found a kinship with the island’s motto above the famous Three Legs symbol: Quocunque Jeceris Stabit – whichever way you throw me I shall stand.” He was often seen out in the community taking a full part in island life. 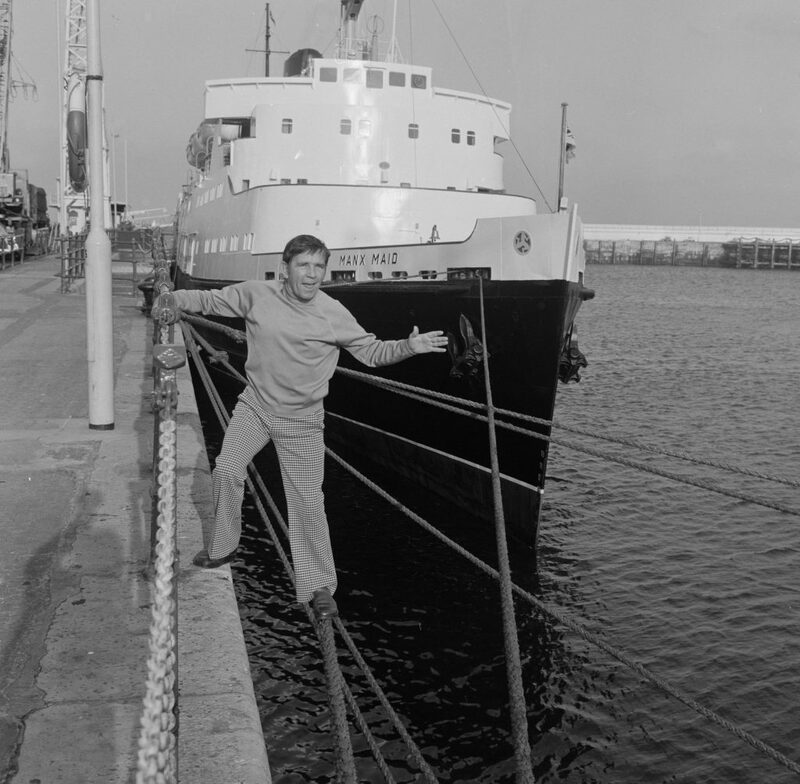 Follow A Star – Sir Norman Wisdom is a free exhibition running from 18 August 2018 to 20 January 2019 at the House of Manannan, Peel. An Evening with Nick Wisdom takes place on 18 August at the House of Manannan. Doors open at 6.30pm and the talk begins at 7pm. Tickets are £10, available from www.manxnationalheritage.im/shop.